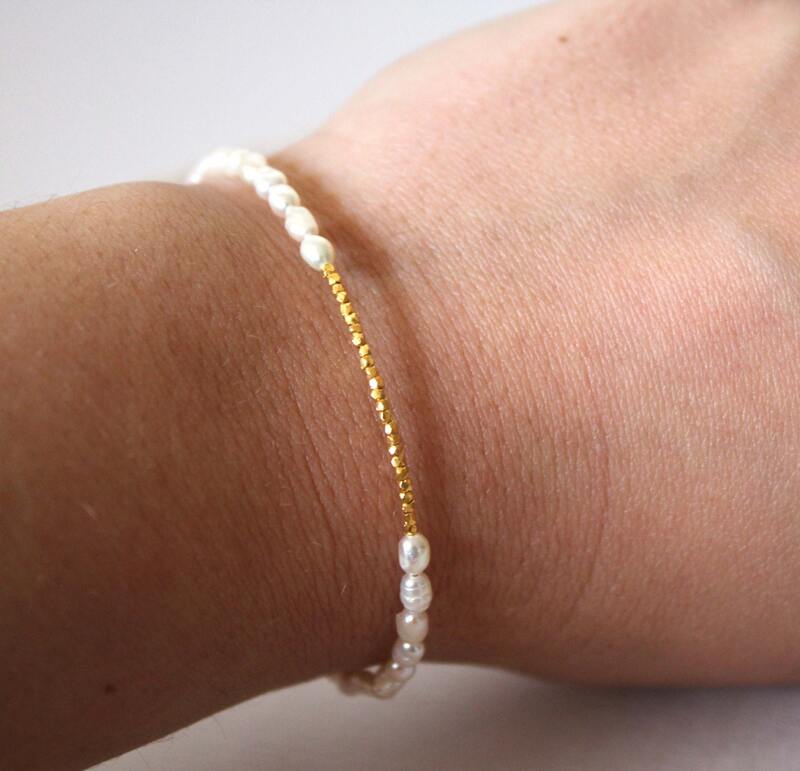 This Dainty Bracelet is very elegant and delicate perfect for a special day or for an everyday look! 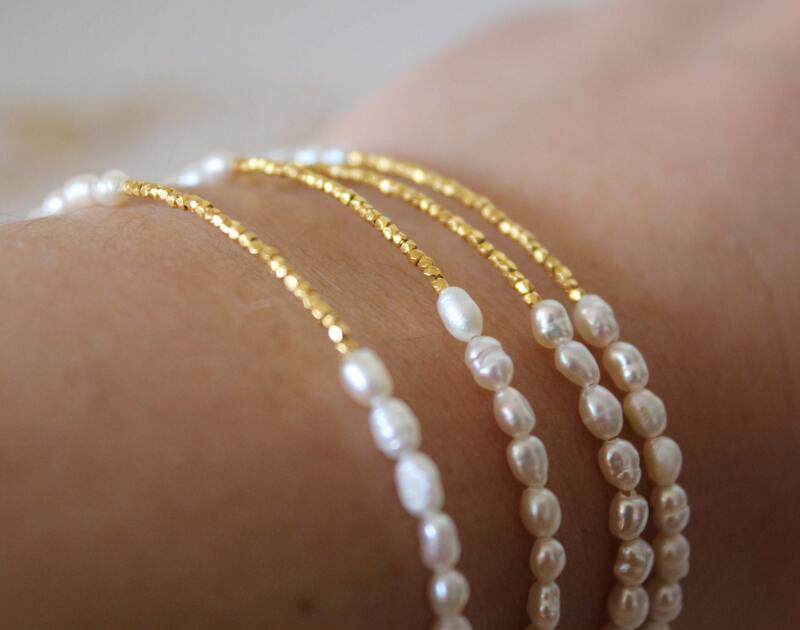 !You can wear it alone or stack it with bracelets! 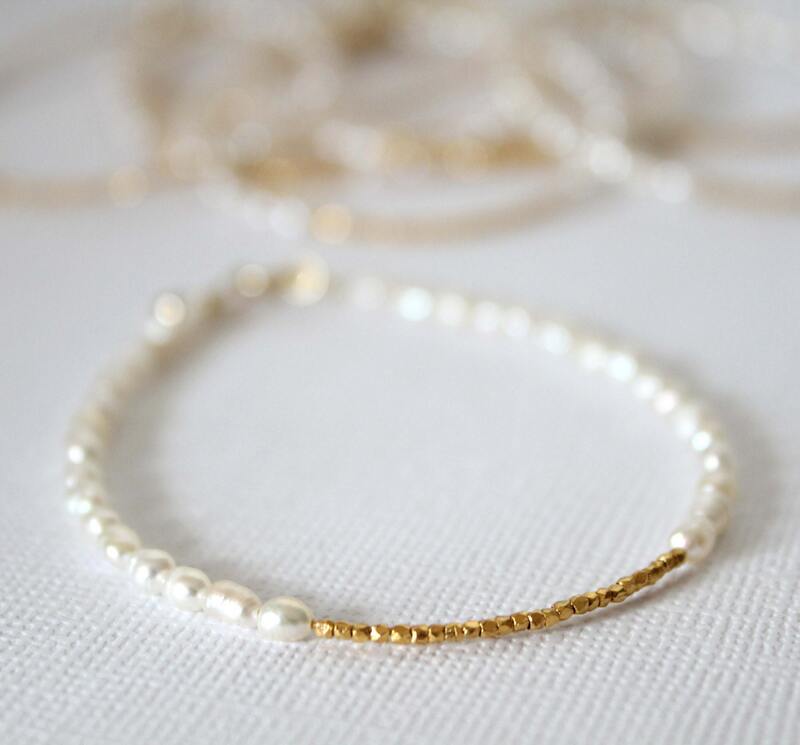 !It can make a perfect gift for your bridesmaids!! 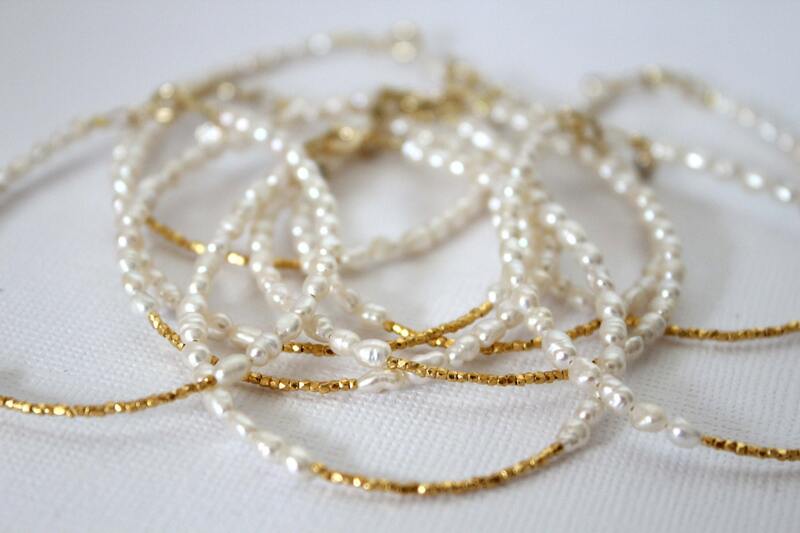 ✪ Tiny gold vermeil faceted nugget beads ( pure silver!!) . ✪ Gold plated clasp. The measurement is aprrox 17cm but you can leave me a message if prefer smaller or larger!! Wonderful! Looking forward to wearing at my wedding! Elegant, nicht zu groß und sehr schick. super schön! Schneller Versand, sehr zufrieden. Thank you so much Liz! The bracelet is so beautiful and perfect- I wear it every day! I will definitely be making more purchases soon and pass your information along to all of my friends. Thanks again for your wonderful work!